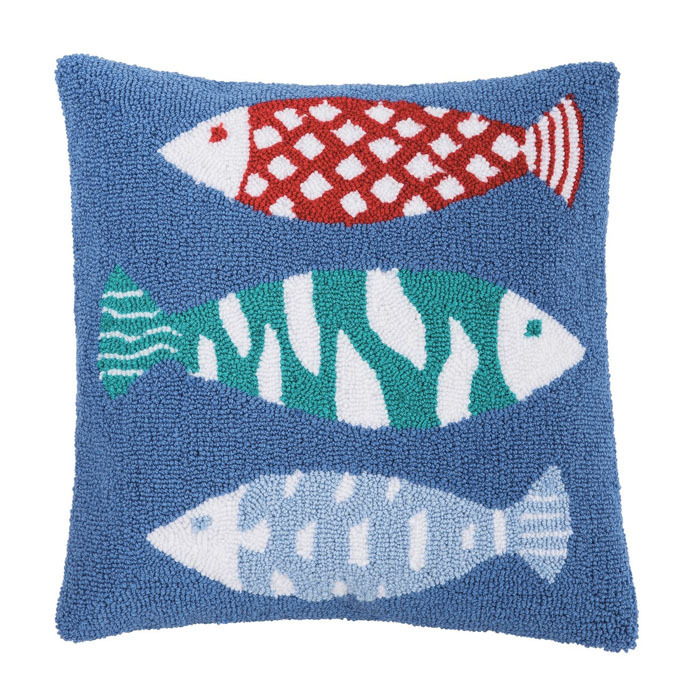 Cutehooked design pillow with fish in blue, red and aqua. Product: 1 pillow. Product Measurements: 18 x 18. Material: Acrylic. Care instructions: Spot Clean. Maker: imported, made by C & F Enterprises.